The project is a nine-month journey through pregnancy. The figurative “Baby Chris” was conceived on March 25, giving him a due date of December 25, 2019. Using the “See Baby Pregnancy Guide” app, you can track Baby Chris’ growth and development every week of pregnancy until he’s born on Christmas day. 1. Posting about Baby Chris is an easy way to educate friends about fetal development. The goal of the Baby Chris project is to let every American see clearly how babies grow and develop in the womb. Educating neighbors, friends, and family members about fetal development can play a key role in helping everyone understand that a baby in the womb is a life that deserves to be protected and cherished. We know that women who see ultrasound images of their baby are less likely to have an abortion. But many women and men still lack a deep understanding of the various stages of fetal development and the amazing way life grows from a single cell to a kicking, moving, and sucking fetus. Sharing Baby Chris’ growth progress with your friends can gently and directly help those in your spheres of influence better understand that an unborn baby is undoubtedly alive. 2. Following the “Baby Chris” project can remind you to be intentional about supporting the pro abundant life movement. Even if you’re already solidly pro abundant life and understand the way a baby develops in the womb, seeing Baby Chris’ updates on your social media feed can serve as a good reminder for you to pray for the pro abundant life movement. Pray for your local pregnancy centers, pray for Care Net, and pray for all those who see the Baby Chris posts to have their hearts softened. 3. Following “Baby Chris” may be a good way to help your children learn that life begins in the womb. Whether or not you’ve had the “talk,” raising pro abundant life children means teaching them that life begins at conception. 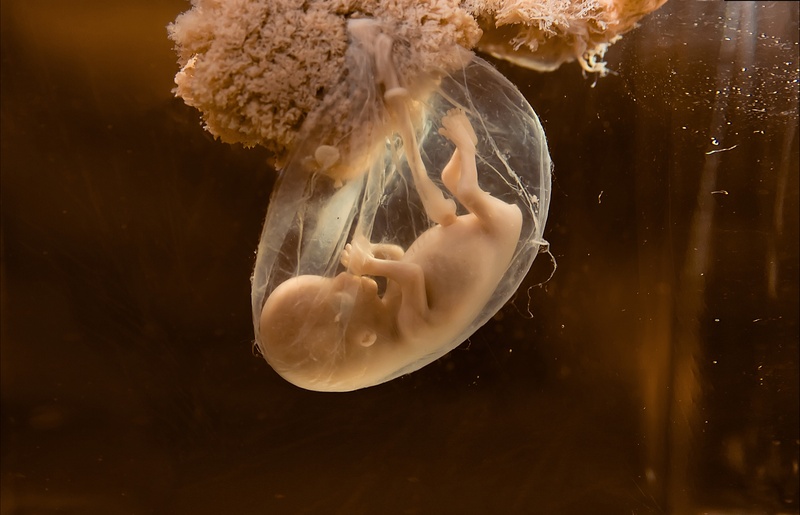 As you feel comfortable, you can use these posts to show your children what life looks like inside a mother’s womb. The Baby Chris organization hopes to rally pro-life advocates with resources, social media posts, and prayer during this time. If you’d like to sign up to participate in the project and receive information directly from the group, you can do so here.